Are you thinking of building on the Northern Beaches but don’t know where to start? 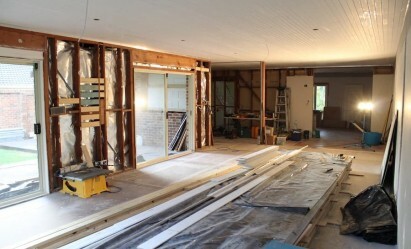 The AAG team specialise in home renovations, additions, knockdowns/rebuilds and extensions. 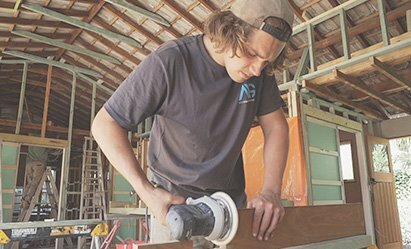 Starting your building journey can be hard, that’s why we’ve developed the Northern Beaches builders guide to help you on your building journey. In this article, we discuss some important points to consider when building on Sydney’s Northern Beaches. Situated on the coastline, homes on the Northern Beaches are exposed to a higher level of salt. It is important that you are mindful of this when choosing your building materials and finishes so that you do not find rust/salt erosion creeping into your brand new home 6 months later. This might include using corrosive-resistant products that are weather repellant, such as exposure grade bricks (recommended if you are building within 1km of a surf coast or 100m of a non-surf coast) and marine grade stainless steel for metal fixtures, fastenings and frames. It is important to discuss these options with your builder or architect and ask them to recommend products and finishes which might be more durable and withstand the harsh conditions of living on the coast. The Northern Beaches is well known for its wonderful sense of community and is full of locals who are passionate about ensuring that this beautiful place is around for generations to come. There are several good quality weekly organic farmers markets where residents support local farmers by purchasing groceries and a variety of locally sourced arts, crafts and jewellery. There are also several permaculture community groups scattered throughout the peninsula who are exploring ways of reducing their waste and promoting a greener lifestyle. This includes a well overdue trend which leads to more sustainable and eco-friendly ways of building and renovating. Keep an eye out for builders who are green builder accredited or whose practices reflect a sustainable and environmentally friendly workplace. The Northern Beaches local council also has specific regulations designed to protect the unique peninsula environment. Your builder or architect should discuss this further with you before commencing any project. The council has particularly strict regulations about tree management and accidentally removing or damaging a tree could leave you with a whopping $1.1 million. Check out the northern beaches council website for more information and to learn about what the local council is doing to preserve and protect the Northern Beaches unique environment. Hamptons style homes are becoming increasingly popular in the Northern Beaches (and our personal favourite). This style is characterised by a luxurious and chic coastal vibe – think New York’s social elite meets the beach! These homes often feature plantation shutters, large open balconies, weatherboards and gable roofs. Interiors include light timber floorboards, timber features and shaker-style kitchens and bathrooms. Crisp whites, blues, creams and pale greys evoke an air of casual sophistication while bright colours and coral tones are used sparingly. Art and interior styling usually draws from a colour palette of neutrals which reflect the ocean – think teals and dove greys. Many of the Hampton-style properties in the area are home to collected shells, rattan baskets and lobster pot light shades which blend in perfectly with the classy but casual feel of northern beaches coastal living. This style is the ultimate expression of grandeur – without breaking the bank, and will be sure to create a home which is the perfect blend of class and comfort. There are still many original 1950s homes on the Northern Beaches, assisting to maintain the precious cultural heritage of the area. While several of the homes remain untouched, many have also been renovated to incorporate the original build with a more polished finish. These shabby-chic cottage style homes juxtapose a rustic-cottage feel with refined, light-drenched living spaces. 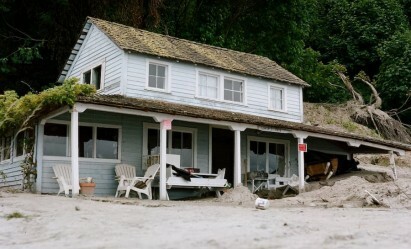 The beach cottage tends to have a cozier and more homely feel compared to other styles, and generally has a lot more character. This style is a great start for those looking to renovate or extend. 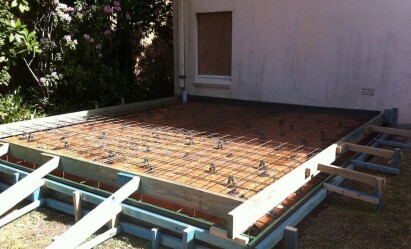 Many of these original homes have solid foundations, which make additions and extensions a breeze for builders. One important thing to consider is that many of these original homes are also riddled with asbestos, so it is important to get the guys over at Airsafe to come and have a look. Contemporary architecture in the Northern Beaches is becoming more and more popular. The area’s undulating terrain, stunning coastline and nearby Australian bushland provides the perfect backdrop for contemporary homes and delivers plenty of inspiration for architects as they push the boundaries and creating award-winning homes with breathtaking views. Many contemporary homes in the Northern Beaches focus on ensuring they are sustainable and eco-friendly. While there is no particular set “style” for contemporary homes in the area (and the end result will largely depend on the quality of your architect and building team) open-plan living remains popular and is unlikely to go out of fashion any time soon, and can assist in showing off the area’s beautiful views. Many homes in the area include living spaces which seamlessly move from indoor to outdoor living, and place an emphasis on the natural world. Because of the architectural design often required for these homes, you can expect to pay a higher price for these builds. Of course, if you are looking to build or buy on the Northern Beaches, there is no “right” or “wrong” style that you need to fit in to. If you’re interested in finding out more, get in touch via our contact page and we would be happy to have a chat about your options or put you in touch with one of our talented architects. When looking at properties in the Northern Beaches, you may consider the different building opportunities that come with different properties. We recommend thinking about what life stage you are at currently; do you have a young family and just want a place to call home for the next 20 years? Or do you simply want a place to call home for a couple of years before moving on? If increasing the property’s value is important to you, it would be a good idea to research the types of homes that sell in the suburb you are considering buying in. Doing your due diligence here will help to reduce the risk of over-capitalising. If property value doesn’t matter so much to you, have a think about what kind of homes you are attracted to. If you like character and the history of pre-existing homes, then renovating or extending the property might give you the opportunity to incorporate the original build but breathe new life into it. Or if you love the idea of being the first person to live in a fresh new home, then finding a property that you can build from scratch (without too much demo) might be a better option for you. Check out the below pros and cons when considering your options. Renovating is one of the most popular choices when it comes to purchasing a new home that needs “some work”. Renovating can give you the feel of a brand new home, without actually knocking down the original build, while incorporating the good bits of the existing home. Builders use the original structure and sometimes even original floor plan to make significant improvements to your home. + Can be frustrating to have to work with an awkward existing space or having to work around a floor plan you don’t like. You will have to make some compromises with your dream design. + Can sometimes cost you more than building from scratch. Make sure you talk to your builder about this and ask him for a recommendation and options for a knockdown/rebuild. This speaks for itself – a knockdown or new build is a brand new home. 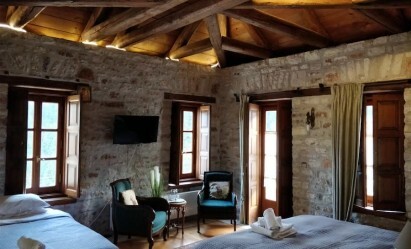 + You can orient your home however you may choose! + Can sometimes be cheaper than renovating where you might have to work with pre-existing problems ie asbestos, mould, termites etc. Needs council approval. To get an idea about what you should consider when it comes to getting council approval – check out our blog “development applications vs comply and development certificates”. Adding an extension to your home means that you can keep the original build and simply add a new section to the existing building. If you don’t have the budget for any of the above, don’t underestimate the impact that some small tweaks here and there can have to your home. Adding a new deck can create a much needed entertaining area and a new garage can add both parking and storage space*. Adding new weatherboards and a fresh coat of paint or investing in some landscaping can have a massive impact on the look and feel to the exterior of your home. We can also recommend some great stylists who can come and check out your home and make some suggestions about how to transform the space…or if you love plants as much as we do, check out our blog on indoor plant styling. * A tip on parking – finding off-street parking is becoming increasingly difficult in the area and can be incredibly frustrating…especially during summer. Adding off street parking to your home could not only save you from several trips around the block to find a park but could also add value to your property. Young families with small children and elderly couples typically seek car parking for ease and convenience. Whether you plan on making your house a home, or an investment property, you can’t go wrong with on-site parking. 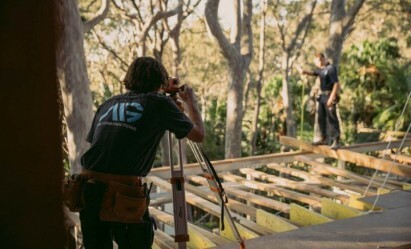 Feel free to get in touch if you are considering a build on the northern beaches and would like some more advice or to receive an obligation free quote.